One of Windows 10’s least-liked features is its tendency to automatically reboot when updates have finished installing. When it launched, Windows 10 quickly developed a reputation for rebooting entirely on its own timeline, as opposed to yours. The Windows 10 Anniversary Update introduced the concept of “Active Hours,” which could be used to limit updates to off-hours when the machine was not in use, but you can’t always depend on such timers to prevent unwanted behavior — get stuck working late at night, and you could still be impacted by a surprise reboot at an inconvenient moment. Open the following path: Task Scheduler Library\Microsoft\Windows\UpdateOrchestrator. It should look like the below, except your “Reboot” option will be enabled. Right-click on that option and choose “Disable” from the menu. Users have also reported that in some cases, Windows 10 can switch this setting back on automatically. To prevent that from happening, open C:\Windows\System32\Tasks\Microsoft\Windows\UpdateOrchestrator and find the “Reboot” file with no suffix or file attachment. Rename it “Reboot.bak”. If you need to take ownership of the file before you can rename it, you can find instructions for doing so here. There are also ways to add the “Take Ownership” option as a right-click menu capability; you can download a file that will allow you to add this capability from HowToGeek. Once you’ve changed the Task Scheduler and renamed Reboot.bak, you should have no further trouble with unwanted Windows reboots. Be advised, however, that this will not prevent Windows updates from actually installing. This option gives you the ability to control when your machine reboots, but it doesn’t delay installation. 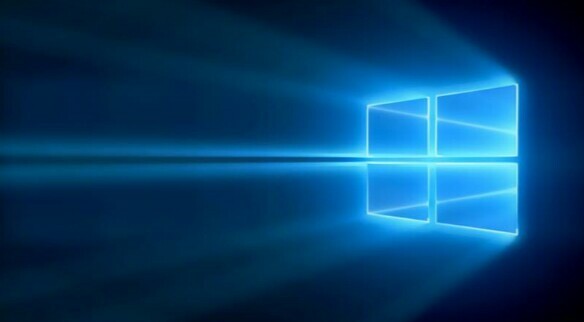 Windows 10’s Creators Update will give users somewhat more control over which updates are delivered by allowing you to opt out of driver updates, but the only way to stop updates altogether is to disable the Windows Update service. That’s not something ExtremeTech formally recommends, due to the risky nature of opting out of security updates, but it’s available should you choose to avail yourself of it. 90 minutes later, with no other actions taken to prevent the OS from rebooting, the system has remained solid. Based on that, I’m willing to believe the method works. Users should note, however, that many security updates do require reboots to function properly. You can use this option to prevent unexpected reboots at off times, but don’t forget the need to manually reset your machine, or you won’t be protected by the security updates.